1. Go to Crash Site (/join dwakel) map. 2. Accept these Quests - Quadrolithium, Dam Balloons & Bumper Bolts from Taravya. 3. 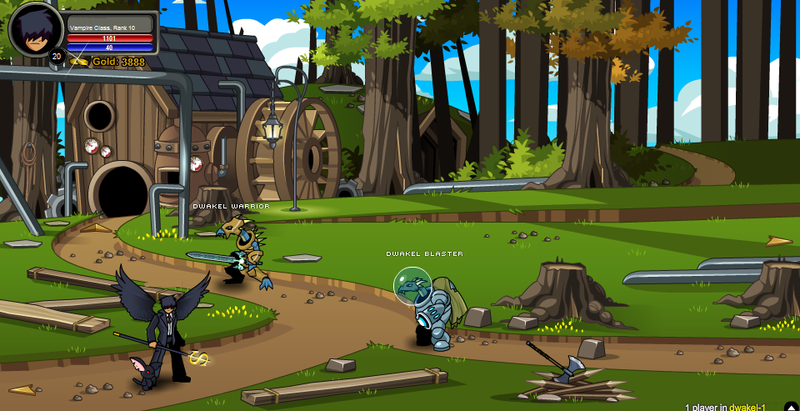 Kill Dwakel Blaster, Dwakel Warrior & Flamethrower Dwakel to complete the quests. 4. Turn In all the Quests and sell the Items that you got for completing the Quests. 1. Go to Portal - Undead (/join portalundead) map. 2. Accept the Quest - Fire Gem from Cleric Dawn. 3. Complete the Quest by killing Skeletal Fire Mage. 4. Turn In the Quest and you will get a item named Burn It Down (a staff). 5. Sell Burn It Down for 12,500 Gold. Fire Gem (Quest) is only available on Mondays and Thursdays Wednesdays, Saturdays and Sundays.